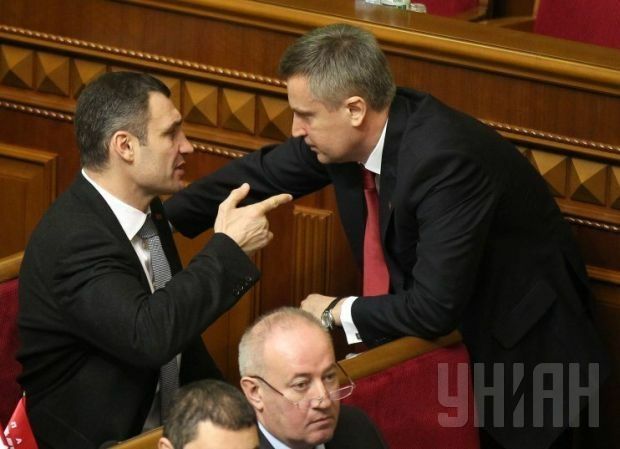 MPs from the UDAR faction in Ukraine’s parliament would not support the resignation of Chairman of Ukraine’s SBU security service Valentyn Nalyvaichenko, Kyiv Mayor Vitaliy Klitschko wrote on Facebook page on Monday. "MPs from the UDAR faction will not vote for the resignation of Nalyvaichenko if it is initiated in parliament," Klitschko wrote. According to the politician, today it is difficult to find a more professional and experienced leader of the SBU than Nalyvaichenko. As UNIAN reported earlier, according to media reports, Ukrainian President Petro Poroshenko is considering dismissing Chairman of Ukraine’s SBU security service Valentyn Nalyvaichenko.